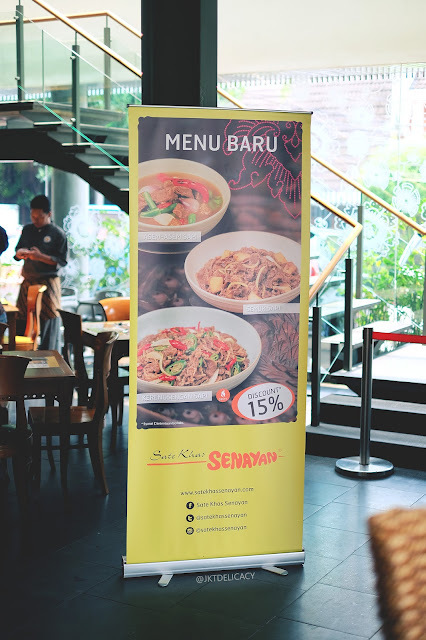 This is their official banner of the new menus. They currently have 15% off for these special menus, so don't miss it. 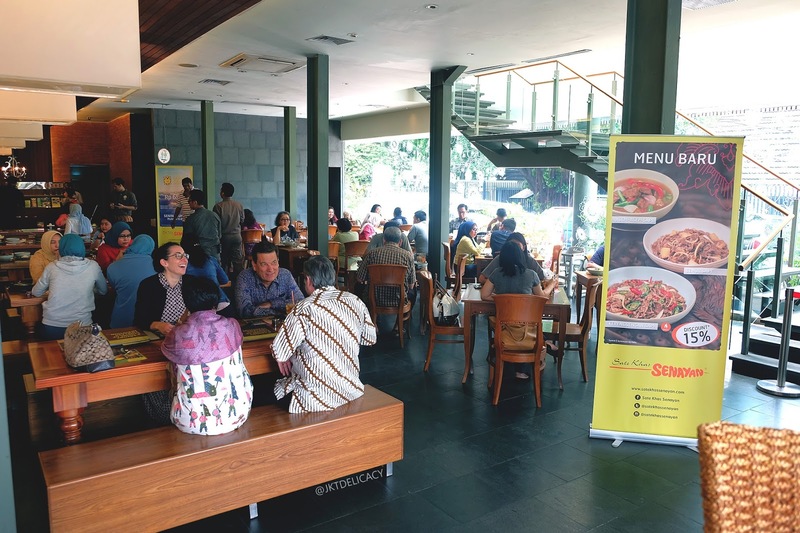 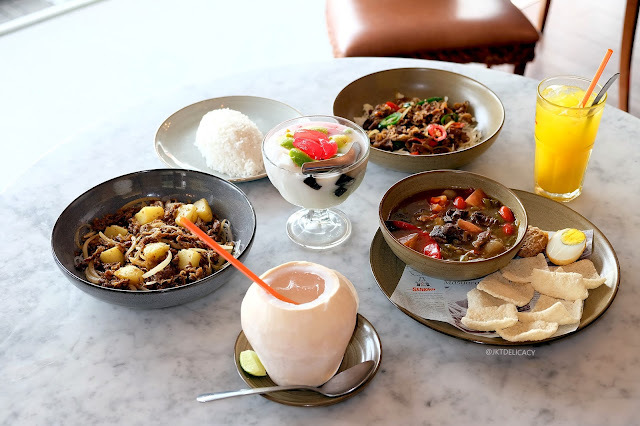 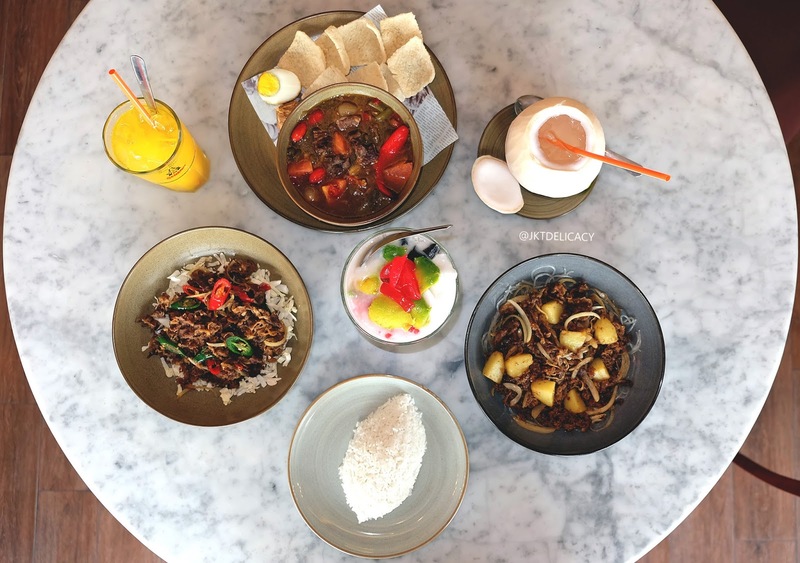 My favorite outlet is the one in Menteng, its always packed during lunch time from 12 - 14 PM. 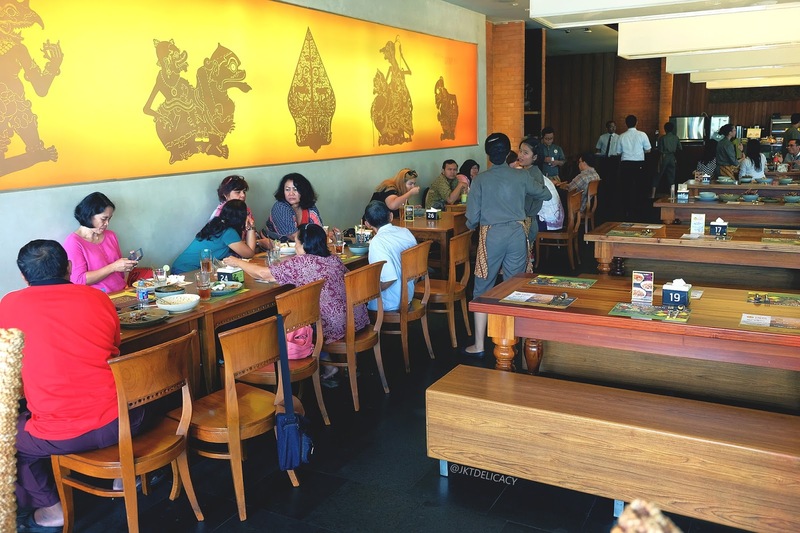 No wonder, people come for any purposes from a simple family lunch, business meeting to a hang out with friends. 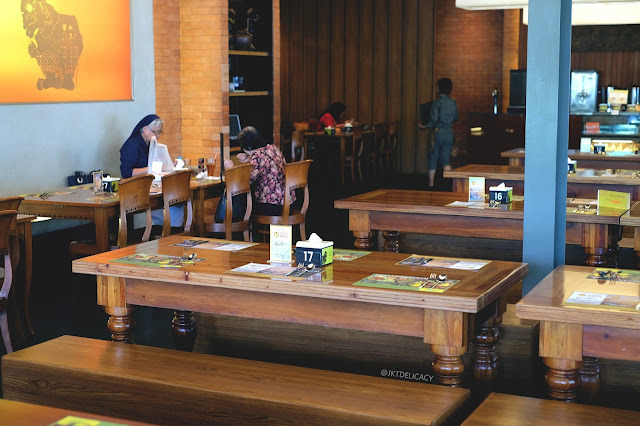 I personally have been here (menteng branch) 3 times, more than any other branches! 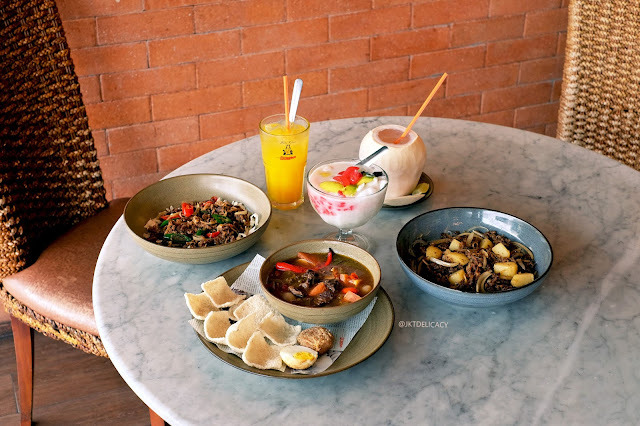 And its really close to my house. 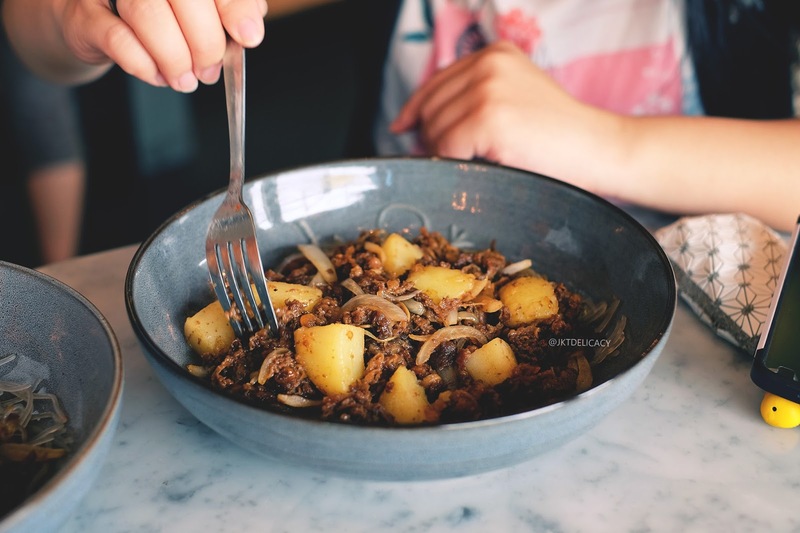 When looking at this thinly sliced beef, my mind is always thinking about a famous Japanese Beef Bowl. 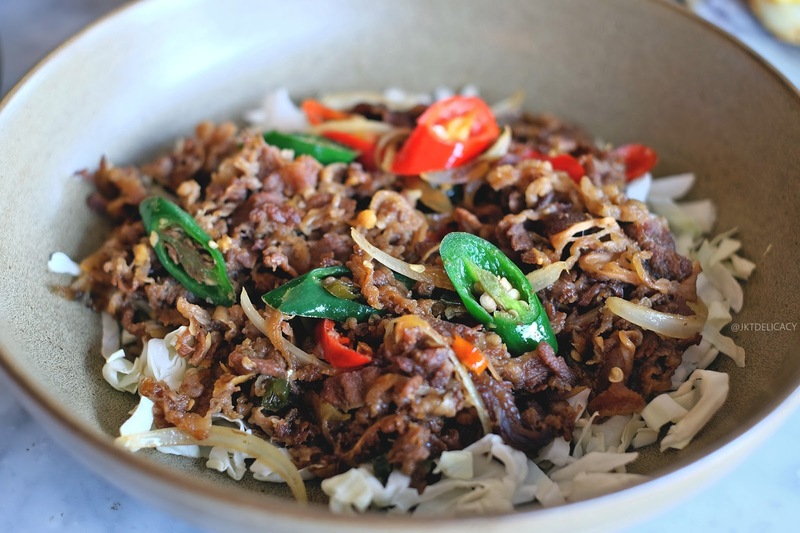 But then, this is Krengsengan Sapi! 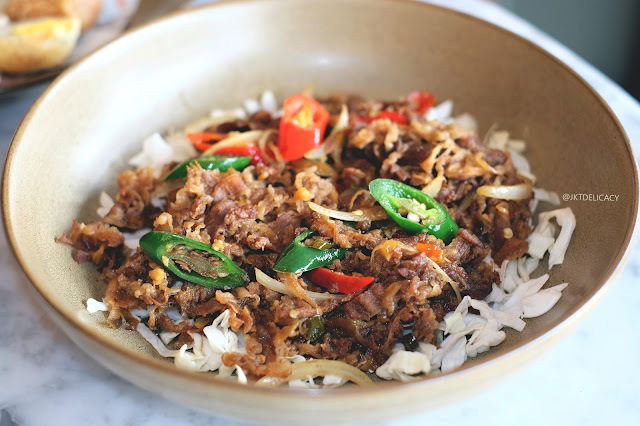 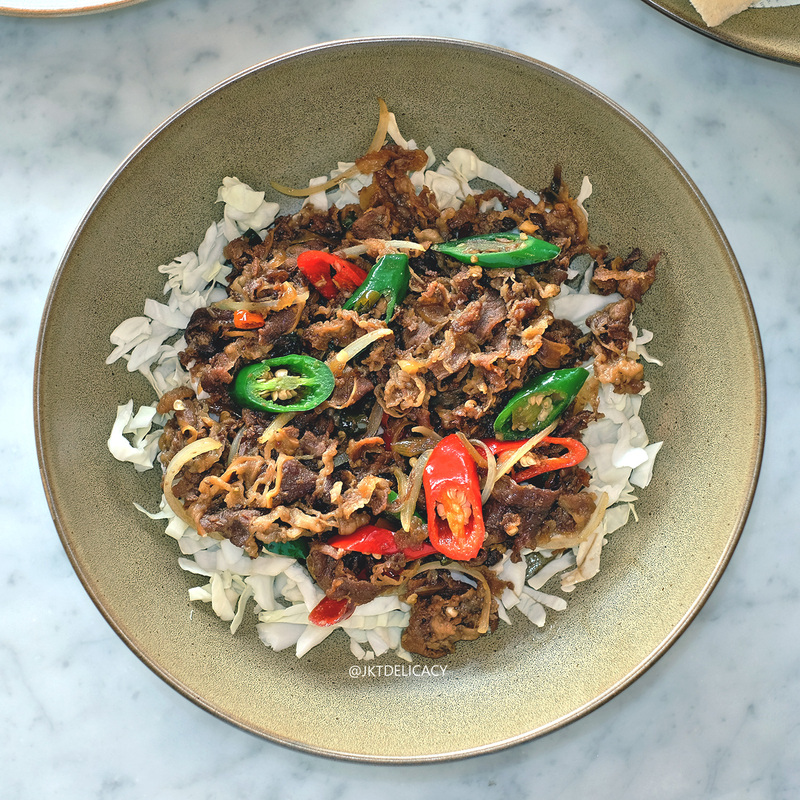 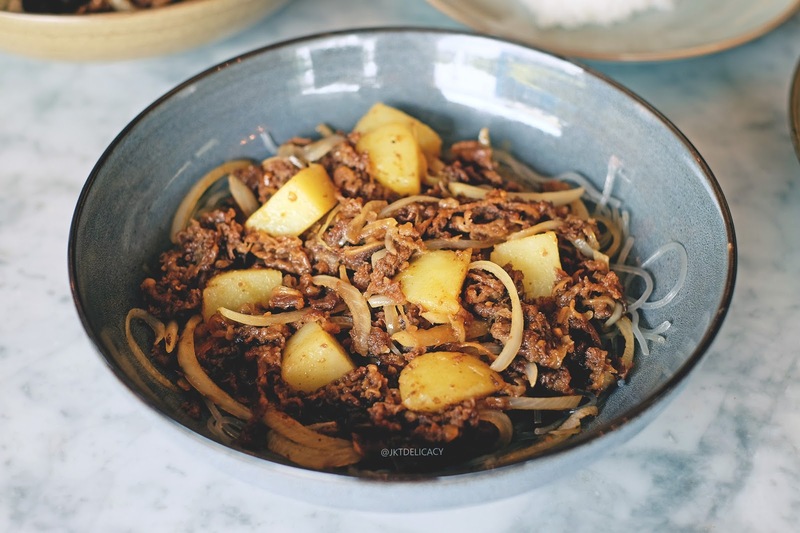 A savory, salty and slightly spicy thinly sliced beef with sauteed onion. The beef was really tender and delicious! Despite having a lot of chilis in there, the actual taste was not that spicy. 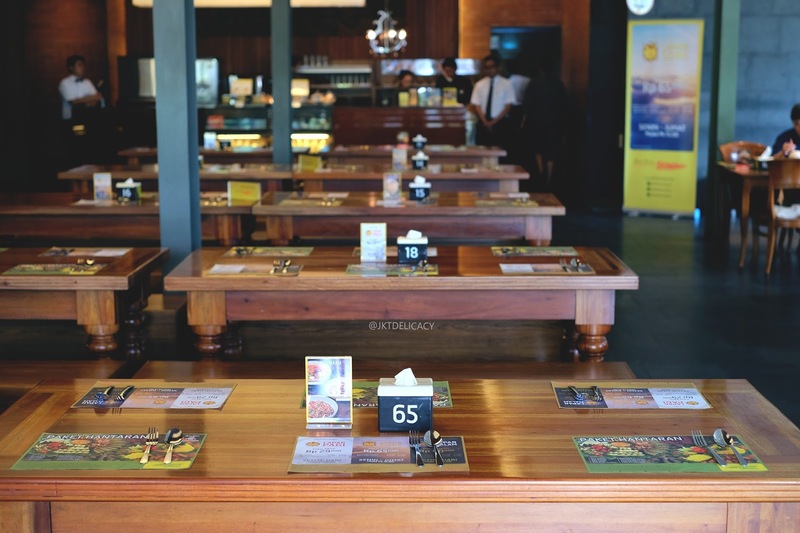 This is a little bit similar to the previous menu. 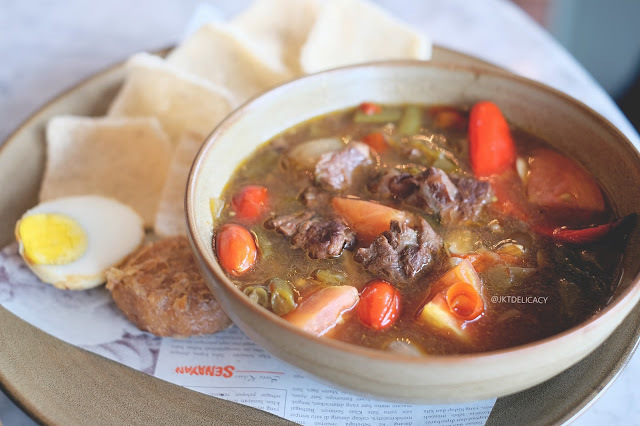 Semur Sapi without soup! 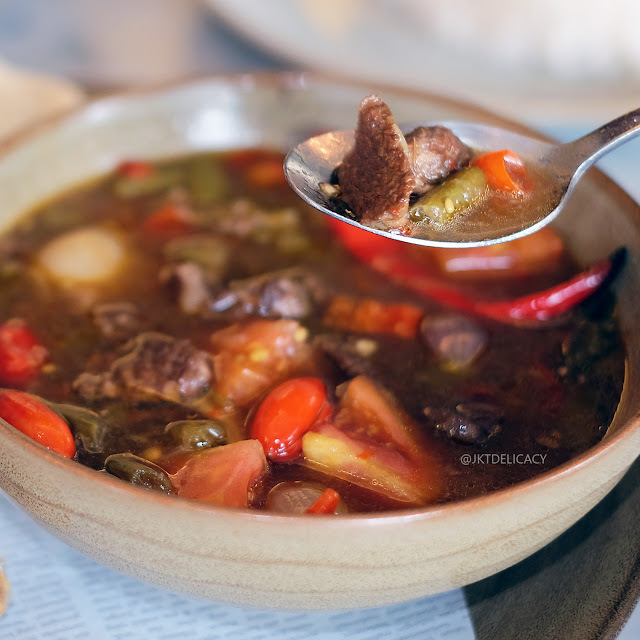 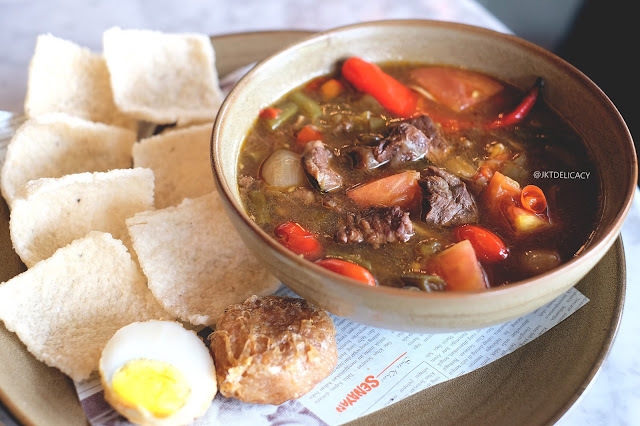 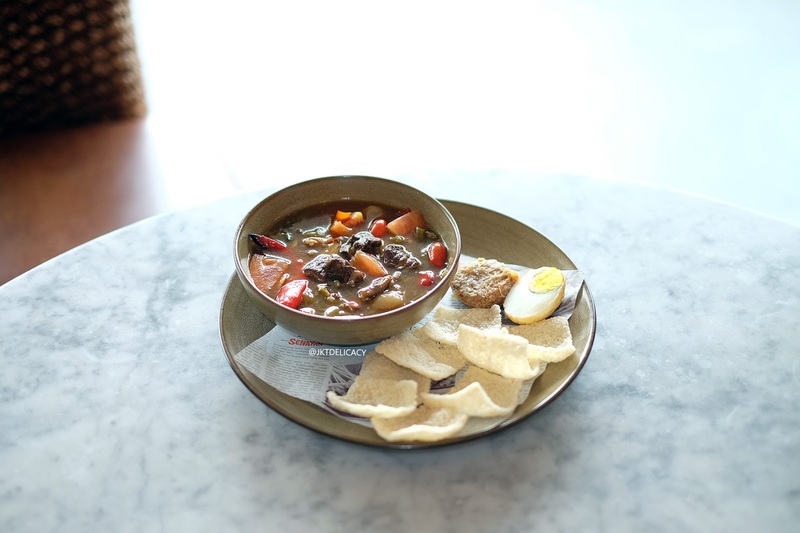 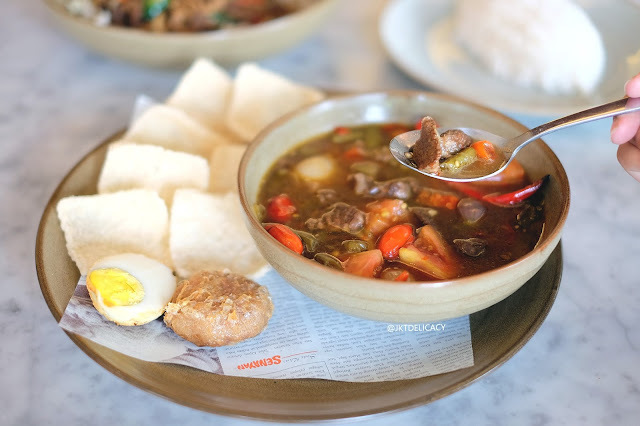 Normally Semur is a black colored beef soup famous in Java. 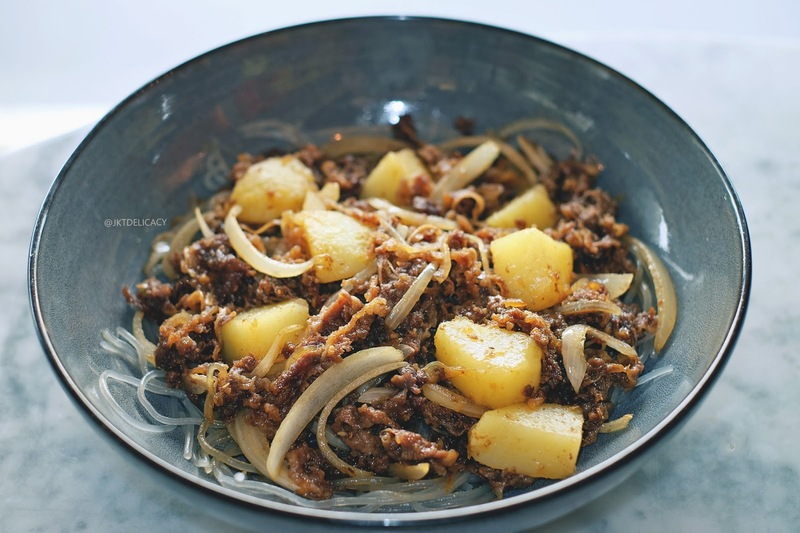 But very this one is a dried version of Semur dish with sauteed onion and potato. 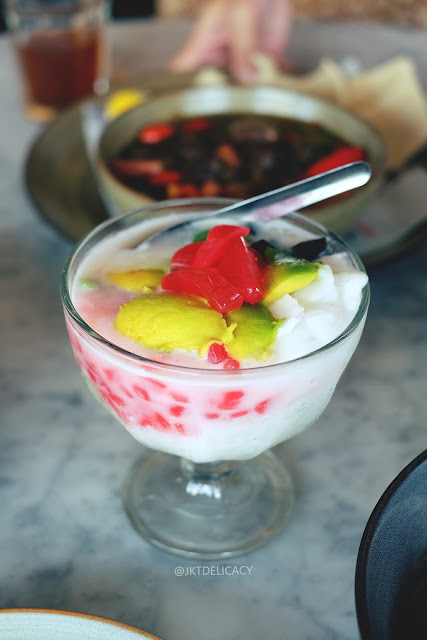 This is very sweet compared to Kerengsengan Sapi and they put some thick vermicelli at the bottom. 15% Off for new menus.